*There has been no element of audience voting in the selection process. The selection is entirely decided by a selection committee run by Dr Norbert Kraft (https://www.linkedin.com/profile/view?id=74750572), who has experience in astronaut selection from JAXA as well as specialising in long duration crew cohesion at NASA and serving as a mission commander in a simulated mission by Roscosmos. 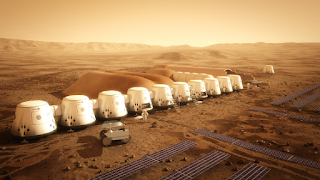 *There is no reality TV 'big brother on Mars' involvement in the project. A documentary series is to be produced following the astronaut selection and training (for transparency and public engagement), not a reality TV show. *There seemed to be a common perception that we are unaware of the risks and signed up on a whim. Whilst that is doubtless true of some who applied, the selection committee was extremely careful in weening out such people by testing our awareness of the key risks (for example, radiation dosage rates both on the journey and on the surface, consumable mitigation strategy during dust storms etc). This was one of many reasons used to select out candidates in the previous cuts. Would be happy to answer other questions you might have! Thanks Ryan. Want to come on air some time and talk about this? Sure! You can reach me at ryan.macdonald@physics.org to discuss. Highly interestimg I wish u luck I am curious is there going to be a political process when u get there or is it by committee or a single person. It's pretty much up to each individual team which political structure they chose to create. The idea is to employ Darwinian forcing of political philosophies and organisational structures during the training, so each team discovers what works best for them far in advance of actually going. I would enjoy being able to speak to you Mr. MacDonald. Especially to clarify the issue on audience selection, supplying the colonists, and how they are going to develop the habitations and other necessities when they get there. Happy to clarify, in email contact with Paul to arrange a discussion date.